The Patriot deck clock’s case is custom made from phenolic, a durable, heat-resistant resin designed to last for decades. 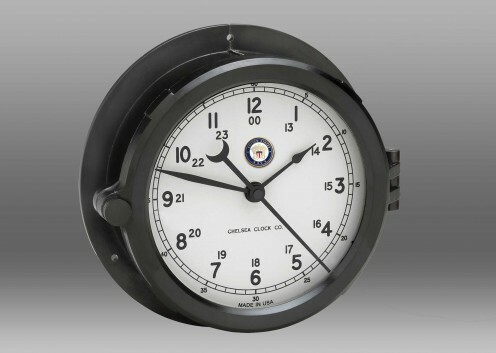 The Patriot Wall Clock features time displayed in a classic 12/24 hour military format. 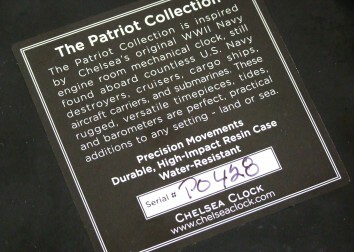 The Patriot Deck clock has a second hand that allows for a more precise time display. 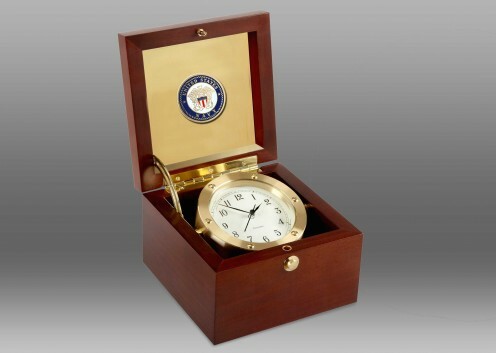 The Patriot Clock has a brass screw locking hinge bezel. This hinge bezel allows for easy access to the German Quartz movement and battery. 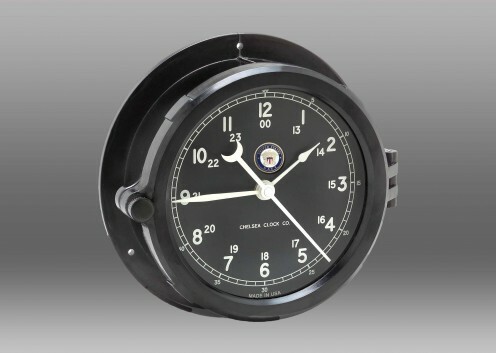 Click here to learn more about the Patriot Clock and the Radio Room Clock. A signed certificate of authenticity verifying the year and details of the creation of this U.S. Navy timepiece is available upon request.